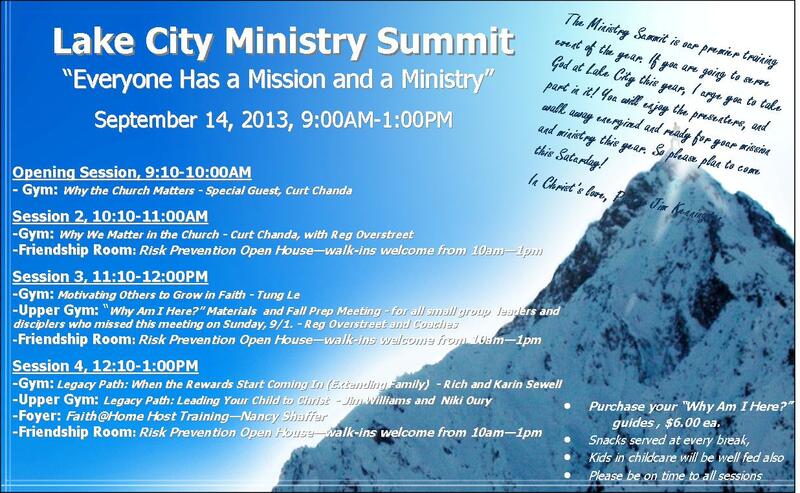 Click on the picture above to see the finalized schedule for this year’s Ministry Summit. 2. The LCCC Family is growing in every spiritual way, and you are a part of the family. 4. The speakers are THAT good, and they love God and you, a LOT. 5. Besides great equipping, inspiring, unifying, fellowship and food, you will get to hear all about the Why Am I Here? series, and be the first to purchase your study guides. 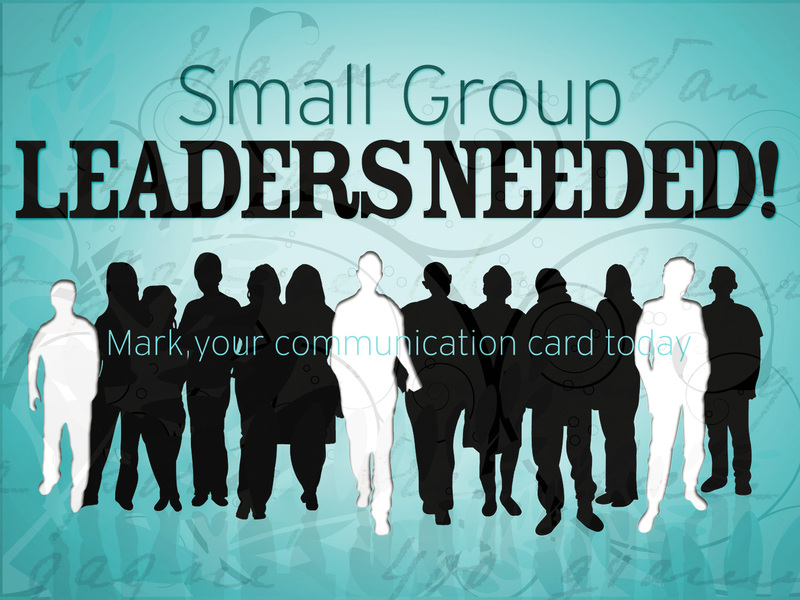 What Does It Take To Lead a Small Group (in 2012-2013)? I posted this “small group leader job description” last year, but have updated for 2012! If you are reading this, there is a good chance you are considering using your God-given gifts to build up the LCCC Family (Romans 12:6-8; Ephesians 4:12). To that, I say, “Praise God!” He will reward your obedience and bless many people through this adventure. Time Commitment: A few hours per week of prayer and preparation, group meeting time, and relationship-building time outside the group. Lead and/or delegate the group meetings. Disciple and raise up new helpers and future leaders. 1. As the small groups pastor, I sit down personally with everyone who expresses interest in leading, co-leading or helping out with our small groups. I always come prepared with our Lake City Small Groups Toolkit (a collection of our best training materials over the past six years), and an enthusiasm to answer the frequently asked questions and the intriguing questions that are new to me. 2. Because of the importance of this role, all leaders are designated a pastor (that’s me), an elder who prays for and is available to them, and a leader mentor (if applicable), for assistance, encouragement and accountability of their own growth as a disciple-making disciple of Jesus. *More info about each of these will be available soon, and will be linked to this blog. Before get into the list, look with me at this great contrast in stories, in which Reggie McNeal, in his thought provoking book, The Present Future, reveals one vital factor that causes our outreach projects to be either successes or failures. The first story involved McNeal’s wife, Cathy, went to Ground Zero in November 2001, about two months after the terrorist attacks, with a disaster relief team on a mission to clean apartments of people who had been displaced by the collapse of the World Trade Center. The apartments she cleaned had faced the Twin Towers. All the windows had been blown out when the towers collapsed. These people had watched people jump. They had found telephones, briefcases, jewelry in their apartments, all blown in when the towers came crashing down. These residents were paying commercial firms thousands of dollars to get their apartments cleaned. The team did it for nothing, even leaving gifts behind. At that time Ground Zero was still a police state. People could come and go only with appropriate identification. Cathy and her team had to wear their disaster relief uniforms so they could get into the area to do their work. These outfits were conspicuous and grabbed people’s attention wherever they went. All over Manhattan people stopped them and repeatedly asked 3 questions: Where are you from? What are you doing? Why? Cathy tells me that by the time they answered the first two questions, “We are from South Carolina, here to clean people’s apartments for people displaced by the terrorist attacks,” they could have said anything in response to the ‘why’ question and received a hearing. Even if people didn’t understand their answer or disagreed with some point of their convictions they were willing to hear them out. Do you know why? They listened because the New Yorkers were persuaded that Cathy and her fellow cleaners believed something so strongly that it had caused them to inconvenience themselves in compassionate service to people. The second story involved McNeal’s wife and daughters’ mission trip to Manhattan in 2002 to help a group plant a church. One of their assignments was to help raise awareness for the new church by distributing free stuff to people on the streets and in parks. Predictably, people were suspicious of this approach. “What’s the hook?” was the question on people’s mind. As a result, very few people wanted to have any conversations about the church or Jesus…It seems in the New Testament that Paul’s strategy was to preach the gospel. He formed a church as a result of the harvest. Contrast this response to the girls in Story Two to the response Cathy’s team received in Story One. What’s the difference? Easy. The summer mission group was positioned as marketers, introducing a product with a marketing ploy similar to food vendors giving out free samples at Sam’s. There was no dirt on the kids’ faces. No smell of cleaning solution. No sacrifice of service. We learn an important lesson from this comparison. We are not called to market the church. We are called to make disciples of Jesus. His mission, to seek and save the lost (Lk. 19:10), is therefore our mission. His approach, to serve and not be served (Mk. 10:45) is therefore our approach. His goal, to make disciples of all nations (Matt. 28:19-20), is therefore our goal. Our small groups, in functioning as “the church scattered from house to house,” do not exist to serve themselves alone, but also to accomplish the mission Jesus began on earth. And, what is the blessing to our small group community for obedience? It is proven time and time again as groups serve on mission together: When serving together in mission, you will experience community like never before! So, to help you lead your group to choose the right project or two, I present this, my most comprehensive list of ministry/mission project ideas to date. Several have contact information, but I can also be contacted to help get started with any of them. Submit these 2-5 to your group. Choose one or more and begin! 1. Faith In Action, 2012 – LCCC’s third F.I.A. weekend is coming up on July 21. Co-directors Jeremy Evarts and Peter Johnson are going out on a small group tour. Have them visit your group for 10 minutes to cast the vision for how you could be involved in our biggest all-church outreach day of the year! Email Jeremy Evarts for info. 3. Fundraising for Bankes – Have a heart to see our missionaries, the Banke family, make it back to Niger on time in July? They need funds to make it happen. We are kicking around some ideas. Contact me ASAP to join the team! 4. SummerFEST – Two years ago, about 30 volunteers ran one of the best booths at SummerFEST, Lakewood’s biggest community event. We’ve been asked to come back. It is a great way to make a big impact on our community, but it will take two or three small groups to do it. Event is June 30-July1, but paperwork needs to be submitted very soon. Again, contact me ASAP if interested! First, don’t neglect caring for each other’s special times of needs, play dates or babysitting, helping move or clean the house, discipling each other, etc. Care for widows and orphans (James1:27) as a group by hosting a dinner for widows/widowers (Randy and Beckie Madson’s group is hosting a series of these), or running an event for underprivileged or orphaned children. All Group members be accountable to each other to serving in some kind of ministry at the church; praying for each other, and trading stories of your experiences. Write out a large box of cards as a group, to people serving God, in need of encouragement, sick in the hospital, or who may not yet know the Lord or the love of God. Are you a generally “mobile” group? Become an “Emergency Response Group” – to be on call for immediate, unplanned service needs that arise at any given time in a church, from visitation and meal delivery to yard clean up, etc. Help the Church Office by asking for their big projects you can help with, such as mailings, data entry, a phone call project, preparing crafts for children’s ministries, etc. Visit shut-ins who have little or no other contact with people. These can be anyone from church seniors to total strangers. One stat says that 50-60% of people in convalescent centers will not receive another visitor before they die. Bring in a guest speaker on missions: a missionary on small group tour; a missions team leader; a visiting missionary; a rep from a local mission with whom you might partner, etc. Everyone in the group prepares and shares their own spiritual journey/salvation story to the group (1 Peter3:15). Has been a huge blessing for groups who’ve done it. Help teach each others’ kids within your small group how to share the gospel. Throw a Block Party or BBQ in your host home’s front yard for the entire street this summer. Hand out invitations early. Plan games, mixers and food! Let them know it’s being hosted by a LCCC small group. Make an Outreach Prayer List – List each others’ family, friends, neighbors, and colleagues. Pray for them and for each others’ opportunities to share their faith with them. Adopt a Missionary – Each small group should have a LCCC missionary to pray for, encourage and support, which will strengthen the Great Commission directly. Adopt a Military Family – Contact the leader of this existing LCCC ministry to sign up as a group. Adopt a Family in need or crisis – Ask a pastor for suggestions. Support LCCC’s Adopted People Group, the Tam*jaq of Niger, by praying, supporting our long-term families there, supporting one of our short-term teams, etc. Partner with any local school, offering to meet any type of ongoing need they have, with no strings attached. Partner with the Police or Fire Departments to offer any kind of services they might be able to use, or know of who does. We have several members of these, including an LPD chaplain, in our church. Move some or all of your regular meetings to a local restaurant or business, where you will engage with other customers. And more! Contact Foodbank Director, Wanda Hayes. Visit or partner with any one of our local missionaries. For example, the Hewitt group is throwing a BBQ for the DeyArmins’ new church inVesta,WA! Parachurch organizations like Youth For Christ and Young Life regularly need event volunteers or mentors for kids. Local agencies like Care Net, Love INC., Tacoma Rescue Mission, etc always need volunteers for their great community ministries. Have a truly cross-cultural experience without leaving the area. Partner with World Relief through Jon Banke to serve and reach the large Somali refuge population living right here among us. Read this Small Groups_Bookmark for more information. Partner with Mark and Monika Kozakowski with involvement in the regular Christian meetings among the Puyallup Tribe and the Rising Above Conference needs this summer. 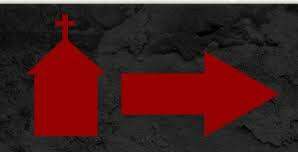 ‎As we mobilize to go out, always remember that our primary goal in “Leading in Jesus’Mission” is to communicate the gospel. Small groups should be both church-family and natural-family driven. Just do it! Don’t become victim to the paralysis of analysis. 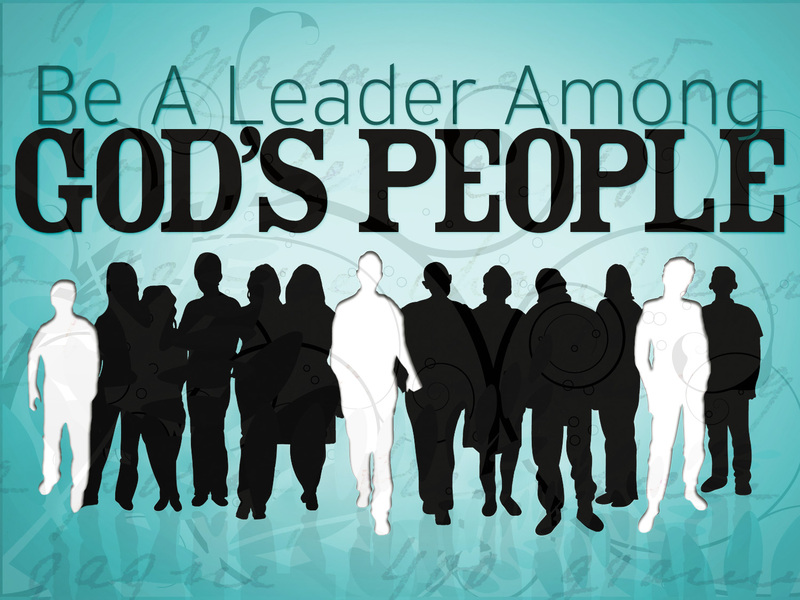 Whoever you are, you can lead in Jesus’ mission. You can do a lot with the influence you already have. And WE can do even more together, as partners in this mission. SHARE YOUR IDEAS: Comprehensive does not mean exhaustive. Even as long of a list as this leaves out many many good opportunities. What more can you add from your ideas or experiences? I watched the Kony2012 video with my wife the other night. We found it moving and exciting, but, like so many initiatives (both non-Christian and Christian) that it so sadly misses the point; the root of the problem. Even a quick overview of these articles teaches us two lessons about examining and addressing the layers beneath the surface of any mission. Empower yourself and the impact of your work by knowing the full array of actual details about the problems, the cause, and the proposed solutions. Be very discerning in who you partner with, knowing if their values, strategies and desired outcomes align with yours. Removing one leader, even the world’s worst war criminal, is not a bad place to start (i.e. Hitler). I want swift justice very badly for Kony, too. This cause is appealing enough to move masses of people. That’s a good thing. But it isn’t enough! Outside of “getting” Kony lies the real work– the type of work that, sadly, disinterests a majority of the masses (such as this, for example). Since Christians are in mission for the long haul, let’s be shrewd as serpents and innocent as doves, as our Lord instructed (Matt.10:16). All too often the world’s efforts (including those of churches and Christian agencies) in causes like fixing evil governments, feeding the poor, rebuilding cultures and even taking mission trips are proven to do more harm than good. More harm than good?? The thought of our best efforts doing more harm than good should alarm us enough to earnestly examine this sub layer. To do this, I recommend picking up two excellent books that have addressed this vital subject in the last few years: Corbett and Fikkert’s, When Helping Hurts (which everyone serious about following Jesus should read), and Bob Lupton’s Toxic Charity, a hard-hitting and very practical addition to this discussion (recommended for everyone leading any kind of relief work). Space here doesn’t allow a full examination of each book, but even an overly-simplified description of each will sufficiently make the point. First, Toxic Charity argues that continuous one-way giving creates toxic relationships where one has the resources and one has the need, and perpetuating this situation only feeds the pride of the one and eats away the dignity of the other. Numerous practical methods exist to eradicate those problems, if we would just do the work to implement them; which sadly, most agencies do not. This is immensely important. Do we want to continue giving just enough to make us feel good about ourselves and cause minimal discomfort to ourselves? Do we want to continue giving strategies that merely perpetuate entitlement, dependency and loss of dignity, when the wisdom is out there to reduce this with a bit more effort? Or, do we want to be Christlike with our action? When Helping Hurts, describes poverty and injustices in terms of broken relationships on multiple levels: personal, economic, political, social and man-made religious systems. Helping rather than hurting requires proper diagnosis of both the cause and solution of the problem. If the cause of the problem is a lack of knowledge, then we must educate; if oppression by powerful people, then we must work for social justice; if personal sins of the oppressed, then we must evangelize and disciple the oppressed; if a lack of material resources, we must give material resources. If a mix of the above problems, the appropriate mix of solutions must be given. Money or justice alone are almost never the appropriate solution, and even harmful in many (most?) cases. Rather, bringing shalom – peace, dignity, empowerment, salvation – in a manner suitable to the given particular problem is the helping that actually helps. Jesus is the Reconciler of those broken relationships; He is building His Kingdom, through us, His church, and our mission is to join Him (2 Cor. 5:18-20). In light of this biblical truth, the authors of When Helping Hurts define poverty alleviation as, “The ministry of reconciliation: moving people closer to glorifying God by living in right relationship with God, with self, with others, and with the rest of creation…The goal is to restore people to a full expression of humanness, to being what God created us all to be, people who glorify God by living in right relationship with God, with self, with others and with the rest of creation.” This restoration can be brought about through an unlimited number of means, but only fully with one ultimate end in mind, the expansion of God’s Kingdom through the life-saving and transforming power of the gospel of Jesus Christ. Maybe on occasion God will lay it on your heart to simply give generously, without discretion or restriction. But, if Jesus is our all-encompassing treasure and His mission is our life’s mission, then we cannot remain that casually detached as givers. Serving and loving people like Jesus must aim to fill them fully with shalom, with dignity and reconciliation with God through Jesus. And, that brings us to the final and most important sub layer. Christians, we must must must realize that pouring our energies into causes like feeding the poor, helping children, fixing evil governments, and rebuilding cultures fall short if those are the end goals rather than the means by which we bring the end result of reconciliation with God, eternal healing, peace and liberty from sin through Jesus. Though it may include removing an evil man from power, Jesus has given us a much greater mission than this. Our mission is to make disciples of all nations; setting every captive in every nation, wherever we have influence, from neighbor to foreign land, free to glorify God and grow in the experience of the incalculable blessings of His grace. Christians, we have a cause so exponentially and vastly greater than Kony2012: to bring reconciliation to God through JESUS to Africans; to our neighbors; to the world! But here’s the really cool part. Bringing a Joseph Kony to justice could very well be one way God uses you for His mission to bring His reconciliation through Christ to the world. You could be on Jesus’ mission through being directly involved with this cause; including praying for the war-torn country and families of Uganda, and for the arrest of war criminals. Understand, though, that the plan God has already established, to use us in the mission fields of our home and community, is no lesser cause. He has already called us to critical actions like visibly honoring Christ in our workplaces, discipling our children, serving our neighbors, supporting foreign missionaries, visiting widows and orphans, providing meals for people in need, being a youth leader, a food bank worker, or leading a small group. Planet Earth has known millions of great Christian leaders, past and present, who gave and give their lives to this eternal cause. By design, God has called the vast majority of His followers to do it in less visible ways than producing a video that gets 75 million views in its first week. But, there is also a place for the BIG, highly visible movements led by Christians. One incredible example is Rick Warren’s PEACE Plan (“Plant churches; Equip leaders; Assist the poor; Care for the sick; and Educate the next generation”), by which he is seeking the mobilization of a force that will eradicate the world’s largest enemies – spiritual emptiness, corrupt leadership, disease, poverty and illiteracy. If you want to watch a moving Christian video (and a much shorter one), please watch this video by clicking “play” on the video titled “It’s Time” at www.thepeaceplan.com. Many other good examples of highly visible movements abound, in Christian leaders who are on mission to affect culture for Christ, Christian movies (which are actually improving in quality), good Christian best-selling books that proclaim Jesus and motivate His followers, and even the rise and opportunity of social media. Many of us can proclaim Christ to a larger audience through Social Media than we ever could before. 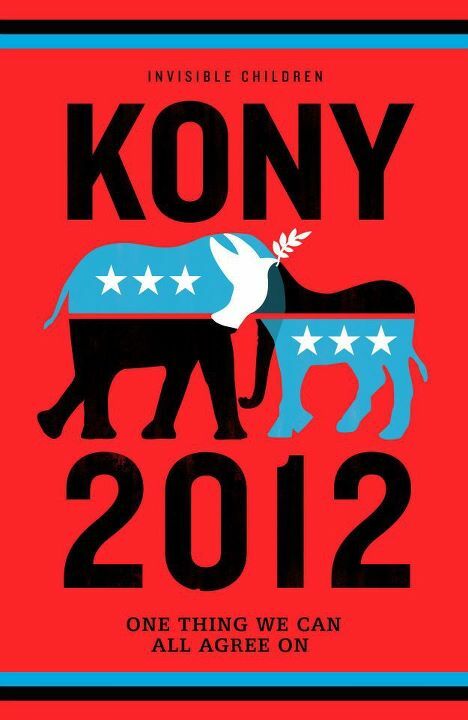 The Kony2012 video begins with an insightful depiction of the power of social media. There is a place and a need for “social media missionaries.” Like the Apostle Paul, who used all the technology of his day to its fullest to bring Christ to the nations, this generation should employ our best modern technology for that same purpose. From producing excellent films like Kony2012 to diligently posting good content, we can proclaim our love for our Savior. Posting links, pictures, sermons, Scripture quotes, and not being ashamed to display something Christ-honoring under your “religious views” – there are a million ways to exalt Jesus and edify each other through this wildly influential modern technology. For those of us at LCCC whose hearts are tugged in this serious direction of global injustice, let me direct you to matters that God has already placed before us. Many of the missionaries we support are on the front lines facing these injustices. Our role as their sending church is to face it with them by supporting them and keeping them spiritually uplifted and accountable. Pray about this, and then learn how you might get involved with one or more of them! I have written about the prevailing injustices in Niger, a country in which the Holy Spirit has directly led our church for the mission of reaching the Tam*jaq people. Did you know that the Nigerien government has allowed French and Chinese exploitation of the Nigerien people and land for hoarding valuable plutonium and oil? The people of Niger receive almost nothing in return. If you want to know more about this, download and read chapter 10 of my unpublished book Missions for the Church in the 21st Century. LCCC family, this is one cause that should be close to our hearts in prayer. And if someone wants to take it further, do let us know, and may the Holy Spirit’s power and boldness be upon you! Admittedly, I detoured somewhat from the original direction of this blog series on leadership :). But, I felt strongly led to this, and I am pleased with the opportunity this diversion presents to demonstrate that in Kingdom work, leadership is not confined to a select few with a title, but to those at every level and through every means imaginable, as long as the end of their influence is to bring glory to God and redemption to mankind through Jesus. However, to be true to my primary audience (those wanting to enhance their small group experience) I will present in the next post of this series the most comprehensive, insightful and inspiring collection of ideas and means for small groups to accomplish Jesus’ mission that I have ever produced. I think it will be an indispensable tool as our groups continue to mature in the area of being on Jesus’ mission together. So, watch for that. In the meantime, care to share with everyone your comments, ideas or questions about this post? Such public dialog is, after all, a good use of our modern technology.